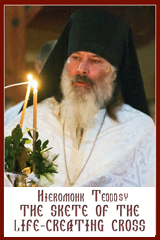 Texts for Vespers and Divine Liturgy for September 3, 2017.
and beyond the expression of our words. caused Satan and his angels to tremble with fear. brought to mankind incorruption and great mercy. you brightened your sacred and divine vestments with the dye of your blood. and from glory to glory! Pray now that peace and great mercy may be granted to our souls! divinely eloquent and honored one! Pray to Him for those who sing your praises! teaching and instructing by your doctrines and words. Pray with them that peace and great mercy may be granted to our souls! you poured out your blood in behalf of Christ God! You brought yourself as a pleasing sacrifice to Him! and from every danger and adversity! The sound of your teachings has gone out into all the earth, venerable Father! Therefore you have found the reward of your labors in the heavens. and reached the ranks of angels whose life you blamelessly followed! entreat peace for our souls! 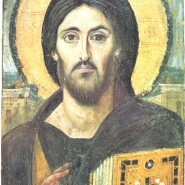 Having shared the way of life of the apostles,* and having become a successor to their thrones,* labouring you found the divinely inspired way to contemplation. * Therefore, forthrightly ministering the word of truth,* you shed your blood for the faith, O hieromartyr, Anthimus. * Intercede with Christ our God for the salvation of our souls. O Mother of God, the mystery hidden from all eternity* and unknown even to the angels,* was revealed through you to those on earth:* God took on our human nature* and united it to His divine nature in a perfect but unconfused union. * Then, He willingly accepted the cross for our sake* and thereby raised again the first created man,*and saved our souls from death.